In accordance with Borough ordinances feeding stray Cats/wild animals is PROHIBITED. Domestic Cats and Dogs must have a valid Rabies Inoculation and obtain a license with the Fairview Health Department once a year. There is an abundance of stray Cats in Fairview which may not be inoculated with a Rabies vaccine which could be dangerous for yourself as well your domestic animals. To control the situation we are asking our residents to help in trapping the STRAY CATS. As per our new Contract with Bergen County AnimalControl in Teterboro, NJ please call to schedule an appointment to provide assistance and traps on your property. Once the animals are trapped they will be picked up and safely transported to the Teterboro Animal Shelter. Land Acquisition and Park Development Program. This application is for the acquisition of property located at Block 201, Lots 6-10, in Fairview, New Jersey. 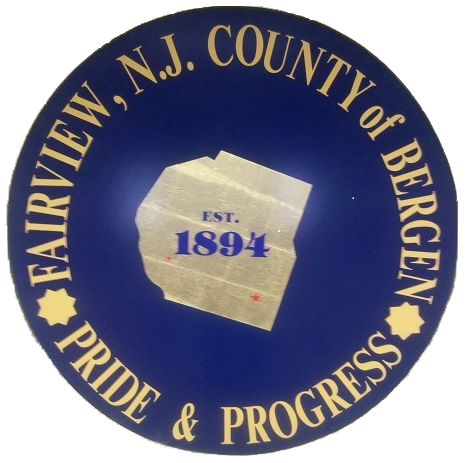 The meeting will take place in Borough Hall, located at 59 Anderson Avenue, Fairview, New Jersey 07022. The Business Administrator will make a brief presentation followed by a question-and-answer period. All residents are encouraged to attend and participate. Diane Testa, RMC, Borough Clerk, Borough of Fairview. Free Tuition is in the Starts at Bergen Community College. NJ STARS Program provides New Jersey's highest achieving students with FREE TUITION at their home county college. If you are in the top 15% of your high school class at the end of your Junior or Senior year, join us to get information you need to become a certified NJ STARS student at Bergen! To RSVP, go to www.bergen.edu/njstars, click on RSVP for NJ STARS . More Information at: Paramus Campus, Pitkin Education Center, C-211 5:30 p.m. to 7:00 pm. Thursday, April 4, Tuesday April 16, Tuesday May 14, Thursday June 6 and Wednesday June 26. Bergen Open House Thursday, April 25 3:00 pm to 7:00 pm . NJ STARS Workshops at 3:00 pm & 5:30 pm. The Governing Body encourages parents and students to take advantage of this great opportunity that will benefit Fairview’s working families.